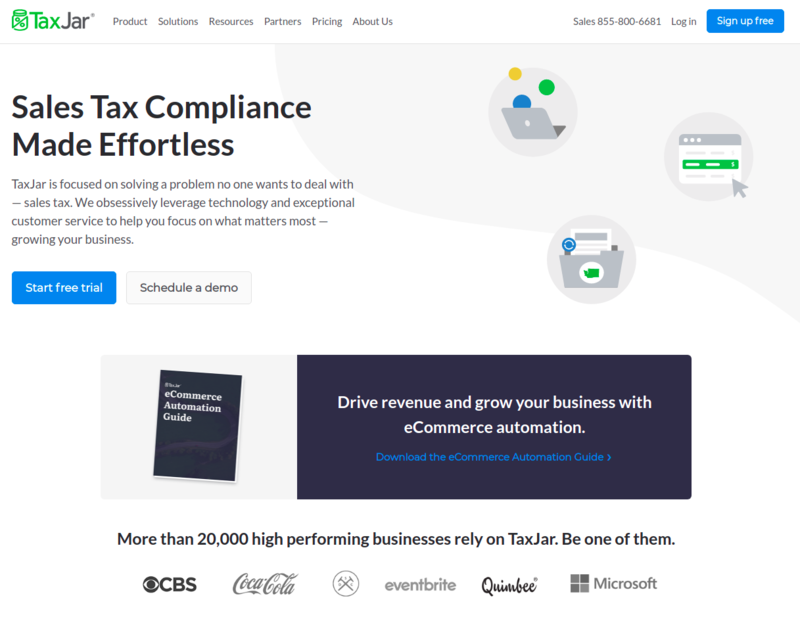 The TaxCalcs by TaxJar add-on integrates your store with the TaxJar service that adds automatic and comprehensive tax calculations to your orders based on the user’s state, county and city. 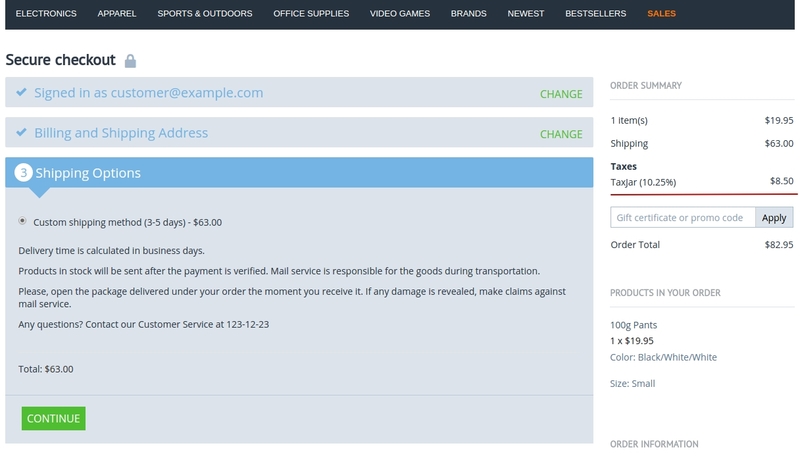 The add-on calculates how much sales tax should be collected at checkout. The service is paid. For pricing, visit this page. However, they provide a 30 day free trial. Learn more about TaxJar from TaxJar’s Guides, Knowledgebase and video tutorials. Accurate tax calculation for the USA and Canada. Easy to use Tax information calculator will allow you to estimate the amount of tax for the product and its shipment. Your vendors may use their own TaxJar account API key. It means that TaxJar transactions will be counted separately for your and their accounts. You can use a different API key for each storefront. Ability to choose to show the tax in percent or in cash. 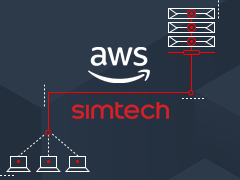 This add-on is developed and published by Simtech Development Ltd., a CS-Cart developer. You are guaranteed a quality add-on supported by the future versions. If you need help, please contact us via our help desk system. Create an account at TaxJar. When this pop-up appears, click on the do it yourself with SmartCalc API. You will need to generate an API Token. 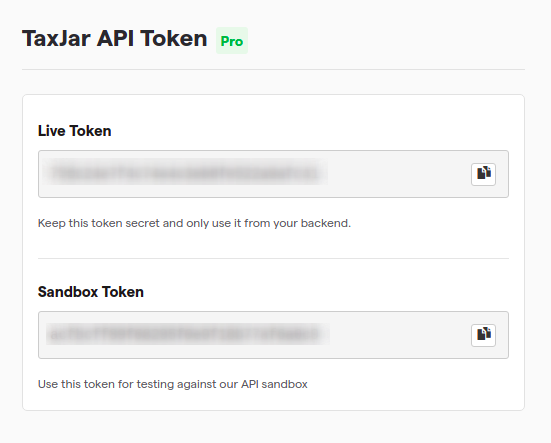 Simply click the Generate API Token button. Use the generated token to set up the add-on. 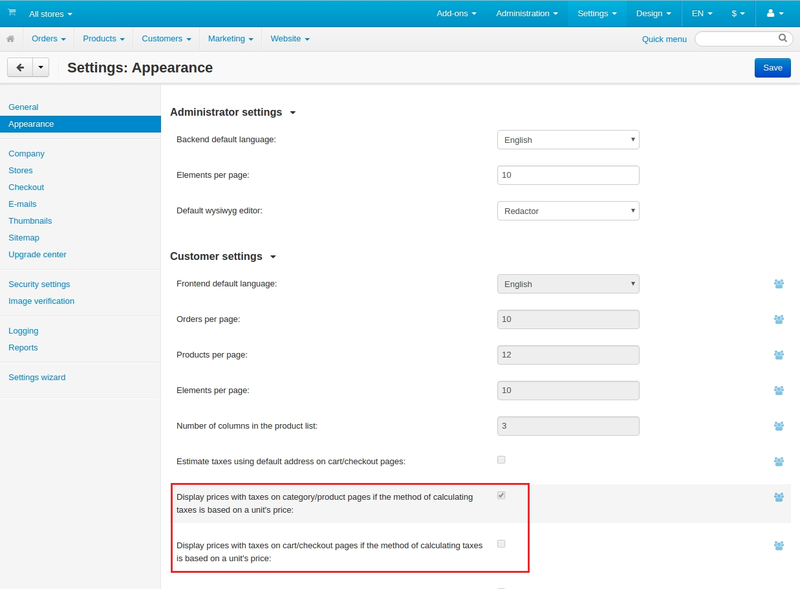 See the Setting up the add-on section. 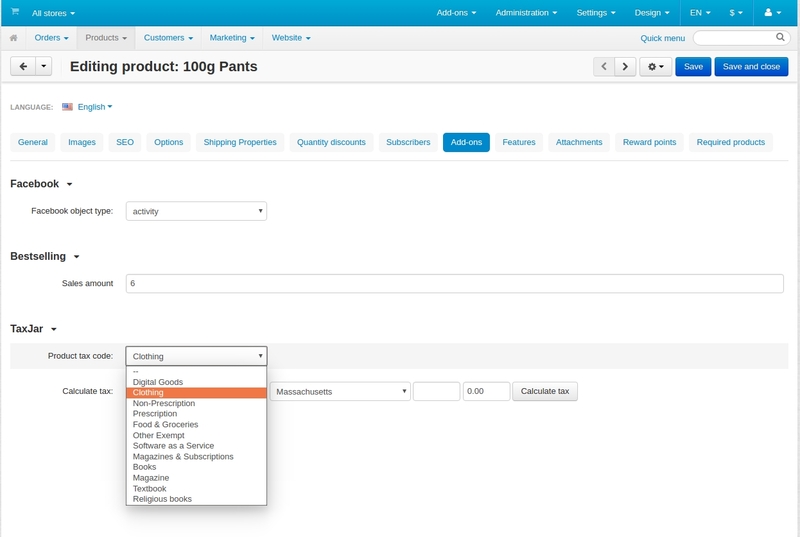 Install the “TaxCalcs by TaxJar” add-on on the add-ons list page (“Add-ons” → ”Manage add-ons”). Click the + button in the top right corner, select an archive and click Upload & Install. You can now find the installed add-on in the list of installed add-ons, just make sure it is set to Active. 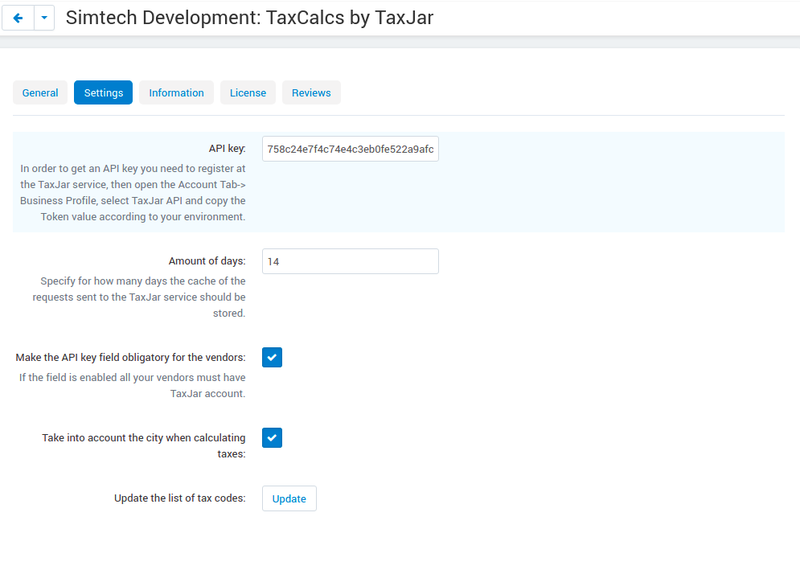 Here are available settings of the “TaxCalcs by TaxJar” add-on. API key—In order to get the API key, you need to register an account at TaxJar and generate an API key. For more information, see the Getting TaxJar account section. 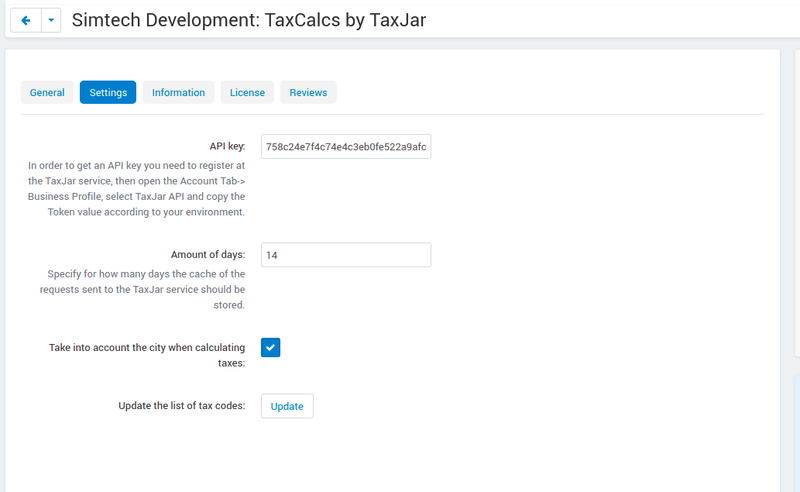 Make the API key field obligatory for the vendors—If enabled, all your vendors must have a TaxJar account. Show the tax in percent—If enabled, the taxes will be shown in percent. If disabled, the customers will see the taxes in cash. Update the list of tax codes—Click the Update button to update the tax codes. As the taxes database of the service is regularly updated, you will need to update the list from time to time. 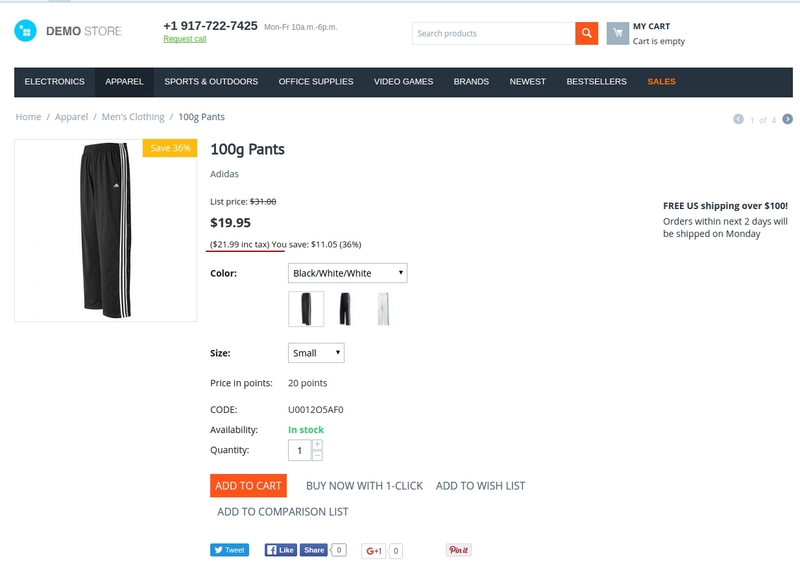 On the product editing page, you can calculate sales tax that will be added to the product cost and shipping cost. 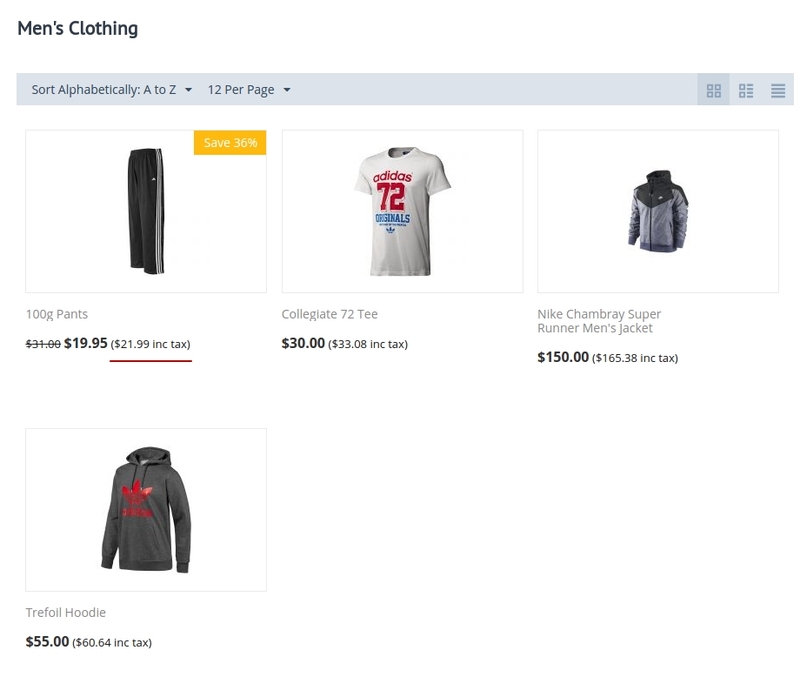 For precise calculation select a product tax code from the list, enter a country, region and valid zip code, specify the shipping cost ans click Calculate tax. The opened pop-up will show you the required information.